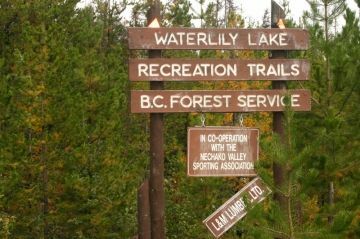 The Waterlily Lake Trails in Vanderhoof, British Columbia, Canada consists of an extensive network of trails used by hikers, mountain bikers, horseback riders and cross country skiers. 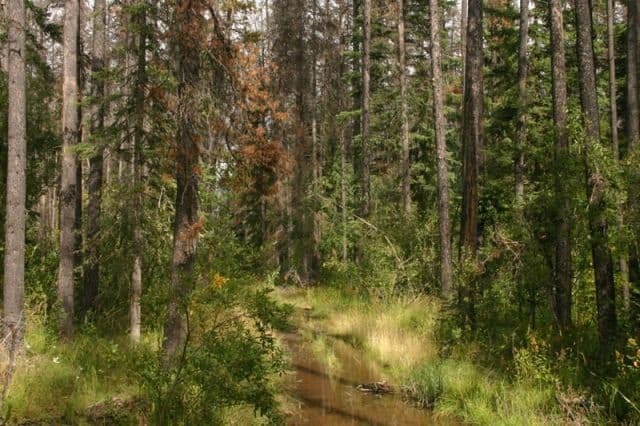 The vast maze of trails explores various eco systems including meadows, lakes, wetland swamps, rock bluffs and forests filled with Aspen, Lodgepole Pine and Spruce trees. The Waterlily Trail network is an easy grade trail system extending out over 24 kilometres (10 mi.) providing explorers with stunning views and many adrenaline pumps. The trail system consists of many loop routes leading to lakes such as Homestead and Waterlily Lakes. The trail system was originally designed for cross country skiing... so after the snow falls and the winter season kicks in the trails become populated with many winter outdoor enthusiasts. Most ski , some snowshoe. Over the years the mountain bikers, horseback riders and hikers are enjoying the trails more and more during the summer months for day trips and overnighters. Some of the more popular destinations along the Waterlily Trail System are the two lakes. Homestead being the closer of the two lakes. 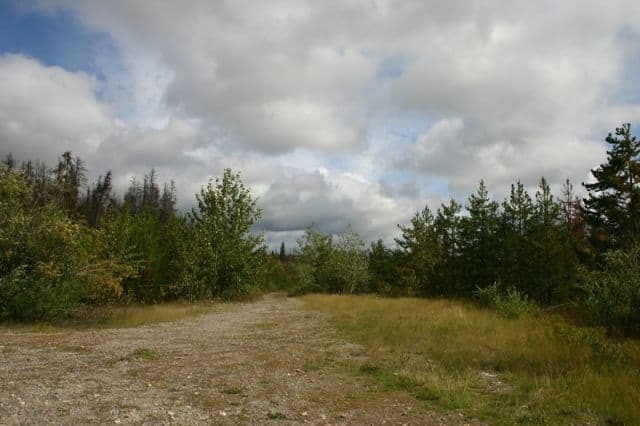 There are other routes that attract attention also like Golum's Swamp, Beaverlodge Pond, the Pineridge Viewpoint Trail which provides views of the Nechako Valley and Logan's Point Trail which rewards explorers with views of Blue Mountain and the Stuart Lake area. Depending on the mode of transportation used for exploring the trail network some of the longer hikes will require overnight camping. There are some 3 sided wooden shelters and open tenting areas located at both lakes. Regardless if you are hiking, horseback riding, mountain biking or cross country skiing the network of trails is a full day experience minimum. The trail system is in wildlife country. There is a good possibility to view wildlife depending on the season. The area has been known to be a popular region for viewing moose, wolf, coyote, deer and others. The trail system consists of many routes, some long - some short, it is always wise to have a map of the trail system. Depending on the length of your trip will depend on the equipment needed. Most trips it is wise to all have waterproof matches, water and to dress to stay dry and warm. How to Get Here: From Highway 16 in the community of Vanderhoof turn down Burrard Ave (main street) and continue until you cross the Nechako Bridge. At the junction after the bridge is Sturgeon Point Rd. Turn onto Sturgeon Rd. and head east for 6.5 Kms. 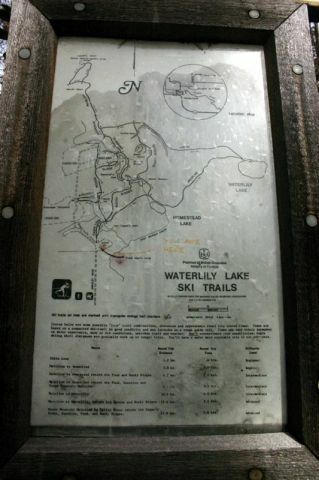 The road turns into Smedley Road where you are to continue driving for another 2.4 Kms to the Waterlily Trailhead sign.